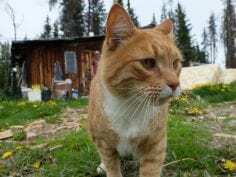 Solving cat overpopulation in B.C. B.C. has an enormous pet overpopulation problem – particularly cats. Every day thousands of kittens are born to family pets, stray cats living on the streets and feral cats. 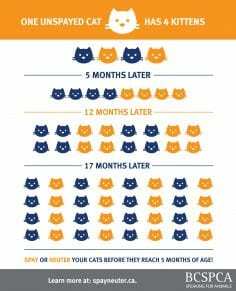 These kittens can get pregnant as early as five months old, producing more kittens and continuing the cycle. The result? Too many cats and not enough homes for all of them. Our hope is for all cats (and other pets) in B.C. to have warm, loving homes. Share our infographic to help inform others of the pet overpopulation problem. Running large scale spay/neuter projects in areas where there is a big need. Since 2013 we have launched eight projects in areas with cat overpopulation. We’ve been able to target nearly 7,000 cats thanks to generous grants from PetSmart Charities™ of Canada. We are currently running a project in Kamloops offering free spay/neuter surgeries for 400 cat owners. 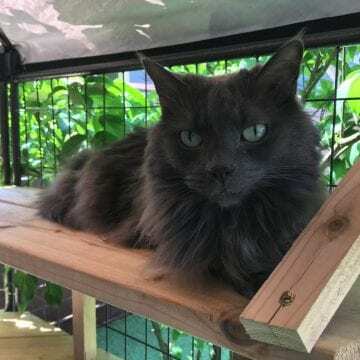 Providing grant funding for community cats: Rescues, veterinarians, BC SPCA branches, municipalities and First Nations communities are able to apply for funding to address cat overpopulation in their area. Successful applicants receive between $1,000 and $7,500 for spay/neuter initiatives. Establishing veterinary clinics: These clinics prioritize spaying and neutering pets. They provide either no charge or discounted spay/neuter services for feral cats and discounted prices for pets of financially disadvantaged and First Nations guardians. Working with community partners: With the help of veterinary partners, municipalities, regional districts and granting organizations, we are able to provide low-cost spay/neuter programs across the province. Need financial assistance to fix your pet? Find a list of B.C. cat spay/neuter funds available. Helping municipalities take action: Some B.C. municipalities have established spay/neuter funds for low-income residents. These funds have reduced shelter intake in communities where they have been implemented. Offering youth and public education: Messaging on the importance of spaying and neutering is worked into our humane education programs for youth in schools, and to the public through awareness programs. Free kittens. How would you react? The BC SPCA developed the Kitten Box Project, an initiative that takes a lighthearted approach to highlighting a big issue facing our province: cat overpopulation. Learn more about the project or check below to find out what you can do to help cats in your community. Your voice and actions matter. Here is how you can help prevent cats in B.C. from suffering. 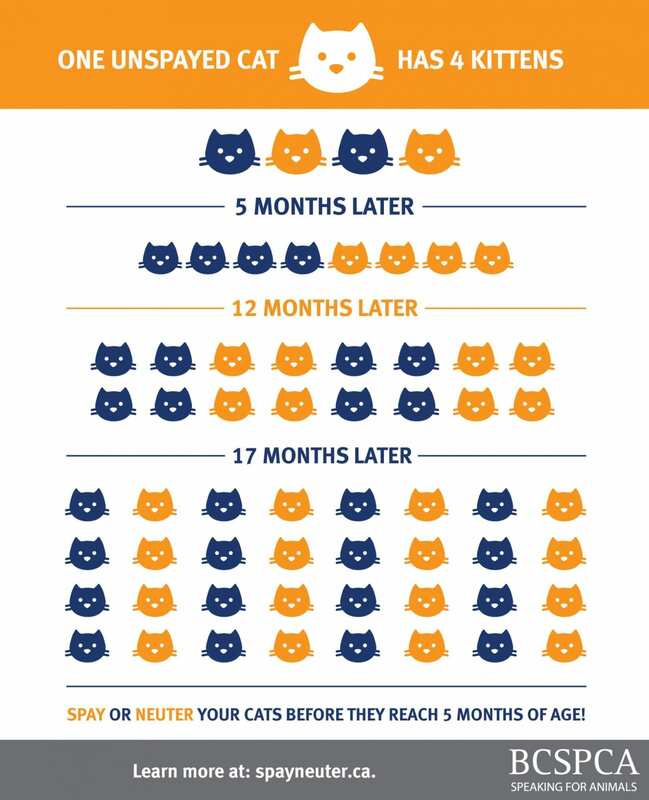 Talk to your family, friends and neighbours about the importance and benefits of spaying and neutering. Send a letter to your mayor and council to request spay/neuter funds for your area. Organize a team of volunteers to distribute brochures and flyers around your community. Volunteer to help with transport or to foster an animal who needs spay/neuter surgery aftercare. Donate to cover the cost of a cat spay or neuter.